Yes. You can change the projection mode using the projector menus. Select the Projection setting and press Enter. 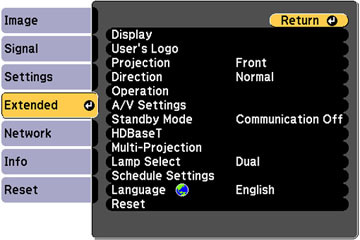 Select a projection mode and press Enter.